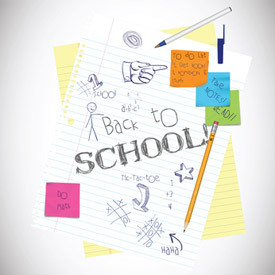 As we approach the end of summer, many students are preparing to go back to school. For returning students, there is a sense of excitement as they look forward to seeing their friends again. However, for some of the incoming freshman students, it could be nerve wracking to go to a new environment and be away from their families for the first time. I remember clearly how distressed and nervous I felt during the first week of my first year in college (UC Davis). Compared to my high school, UC Davis was 100 times bigger! Although the school administrator had sent me some maps as part of the welcome package, the maps looked so complicated. Since I didn’t join the boy scouts, I wasn’t good at reading those maps. Also, I didn’t know much about the city or the different programs, student clubs, fraternities that the school offered. Back then, schools didn’t have many tools to help the students. Today, however, colleges and universities could help make new students get settled in faster and easier by sending them branded USB Flash Drives. They could preloaded the USB flash drives with websites, 3D campus and city maps, videos, forms, and any documents or rich media files that can help students quickly get familiarized with the school and the city. Because of their incredible storage powers, compact sizes, low costs, and stylish designs, USB Flash drives uses have proliferated over the years. Schools and universities can purchase usb flash drives customized with their school logos or mascots in bulk and use them in many ways. For Students to Manage Class Works – By storing the Syllabuses, class notes, & homework assignments in the USB flash drives, students now have a convenient method of managing their class works. Recruiting – USB flash drives customized with your school’s logo and pre-loaded with enrollment forms, promotional videos and presentations, campus maps, and other information are excellent recruiting tools for your colleges or universities. You can give them to prospect students at recruiting events or send to them through mail. Gifts to graduates – USB flash drives make fantastic gifts for graduates and alumni. You can preload the flash drives with a digital yearbook, alumni information, event schedules, donation information, and other information to help graduates and alumni stay in touch with your school. For Fund Raising Drives - Customized Flash Drives are also very popular for fund raising drives for fraternities, sororities, and other student associations. If you’re looking for cool and innovative USB Flash Drives to promote your school and delight your students and faculty members, check out these popular usb flash drives below. Styles, color, and storage capacity choices are many. The 2GB USB Flash Drive is the most popular storage capacity. Promotional flash drives are the best thing going right now. People tend to either not sure, or simply throw away the cheap promo pens that so many companies love to give away. People just love flash drives though.